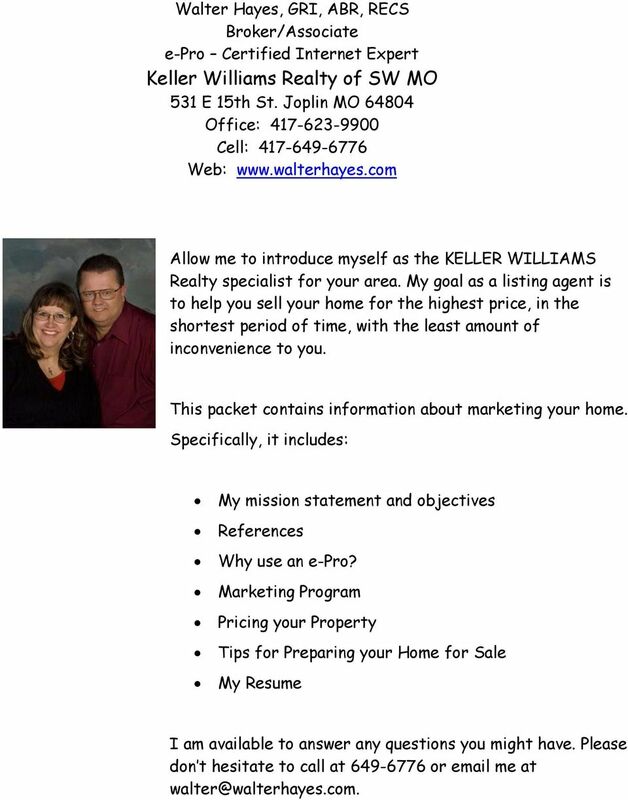 Download "Keller Williams Realty of SW MO"
4 $2,000 minimum commission 7% of the Net Sales price on homes with a list price of $99,999 or under. 6% of the Net Sales price on homes with a list price of $100,000 $499,999 5% of the Net Sales price on homes with a list price of $500,000 and above. 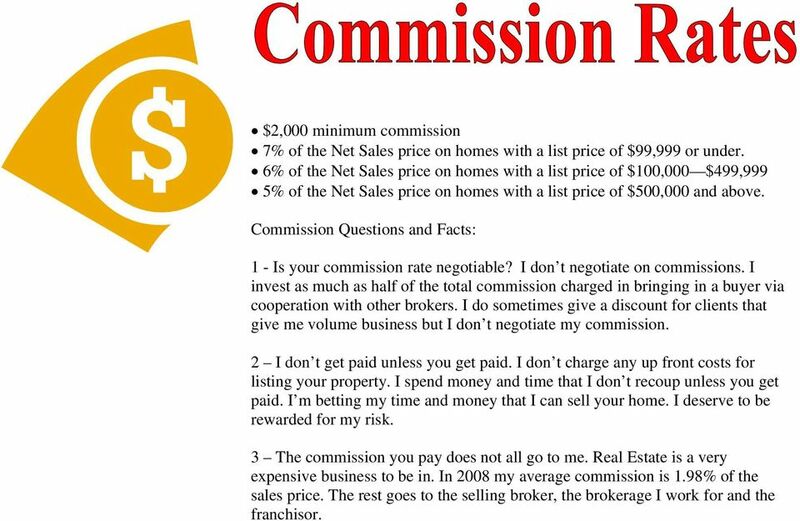 Commission Questions and Facts: 1 - Is your commission rate negotiable? I don t negotiate on commissions. I invest as much as half of the total commission charged in bringing in a buyer via cooperation with other brokers. I do sometimes give a discount for clients that give me volume business but I don t negotiate my commission. 2 I don t get paid unless you get paid. I don t charge any up front costs for listing your property. I spend money and time that I don t recoup unless you get paid. I m betting my time and money that I can sell your home. I deserve to be rewarded for my risk. 3 The commission you pay does not all go to me. Real Estate is a very expensive business to be in. In 2008 my average commission is 1.98% of the sales price. The rest goes to the selling broker, the brokerage I work for and the franchisor. 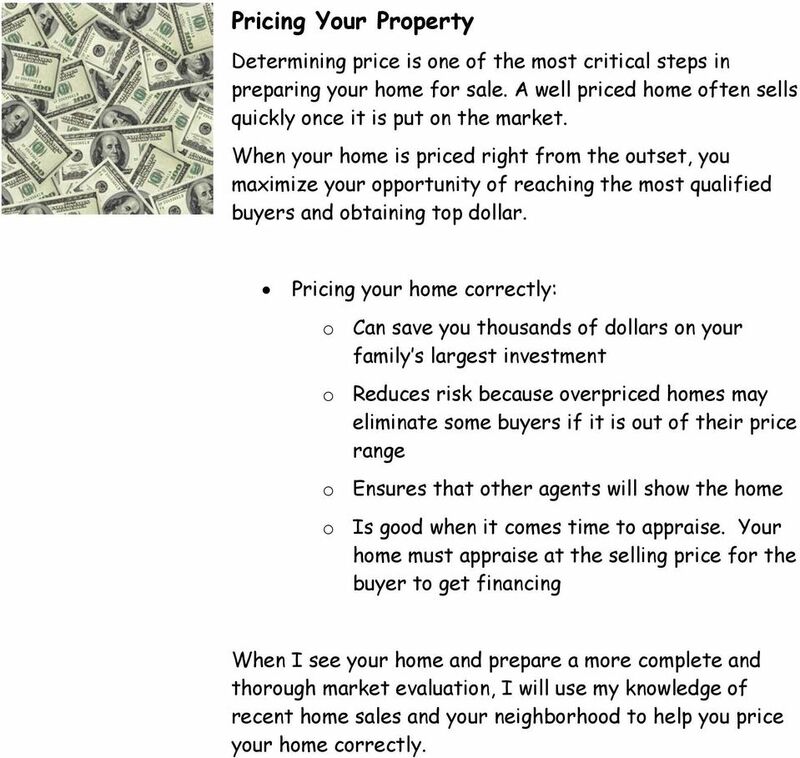 6 Pricing Your Property Determining price is one of the most critical steps in preparing your home for sale. A well priced home often sells quickly once it is put on the market. When your home is priced right from the outset, you maximize your opportunity of reaching the most qualified buyers and obtaining top dollar. Pricing your home correctly: o Can save you thousands of dollars on your family s largest investment o Reduces risk because overpriced homes may eliminate some buyers if it is out of their price range o Ensures that other agents will show the home o Is good when it comes time to appraise. Your home must appraise at the selling price for the buyer to get financing When I see your home and prepare a more complete and thorough market evaluation, I will use my knowledge of recent home sales and your neighborhood to help you price your home correctly. 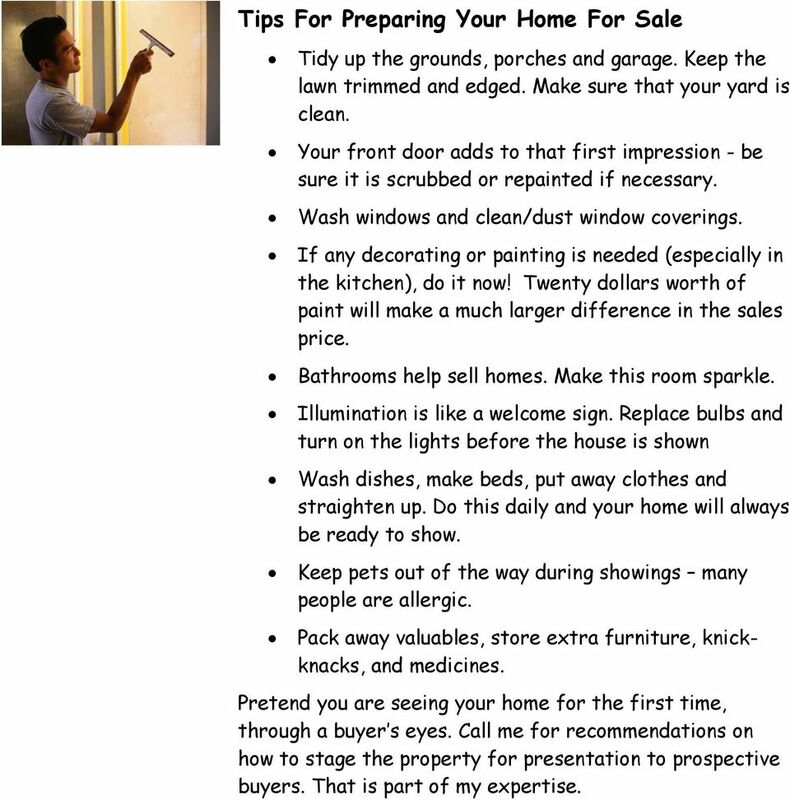 7 Tips For Preparing Your Home For Sale Tidy up the grounds, porches and garage. Keep the lawn trimmed and edged. Make sure that your yard is clean. Your front door adds to that first impression - be sure it is scrubbed or repainted if necessary. Wash windows and clean/dust window coverings. If any decorating or painting is needed (especially in the kitchen), do it now! Twenty dollars worth of paint will make a much larger difference in the sales price. Bathrooms help sell homes. Make this room sparkle. Illumination is like a welcome sign. Replace bulbs and turn on the lights before the house is shown Wash dishes, make beds, put away clothes and straighten up. Do this daily and your home will always be ready to show. Keep pets out of the way during showings many people are allergic. Pack away valuables, store extra furniture, knickknacks, and medicines. Pretend you are seeing your home for the first time, through a buyer s eyes. Call me for recommendations on how to stage the property for presentation to prospective buyers. That is part of my expertise. Selling Your Home www.restainohomes.com Welcome To Restaino & Associates Realtors We are delighted that you have chosen Restaino & Associates Realtors to be your partner, in helping you sell your home. Home Seller s Guide Saying goodbye is never easy. But, when it s time to move on, your CENTURY 21 Sales Agent will help promote and sell your home to the next owner who will enjoy it as much as you have. home marketing & listing services proudly presented by: Molly Slesnick Nest Atlanta Real Estate Group exp Realty International 404.989.
brewer & sons FUNERAL HOMES AND CREMATION SERVICES a family owned service company To Our Friends in Lake County We at Brewer & Sons greatly appreciate the opportunity which you have given us to serve you. Q: I keep hearing that it is easy to sell my own home and that I can save money is it true? 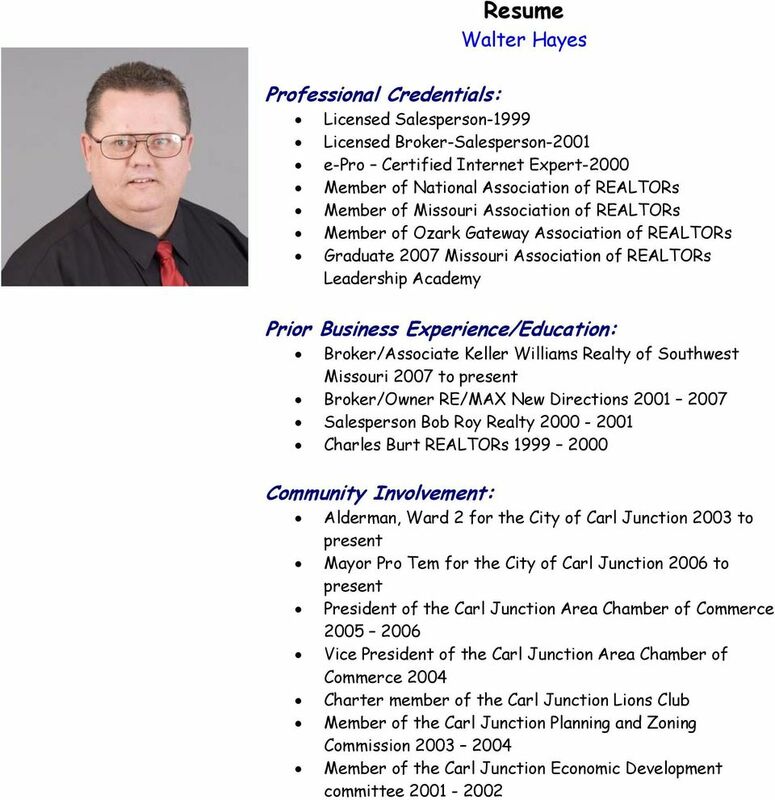 Jim Remley - Expired Listings Handouts Expired Listing Scripts: This script does not ask for the business in the beginning. You are simply offering to help the client identify why the home did not sell. Drakeford Team. 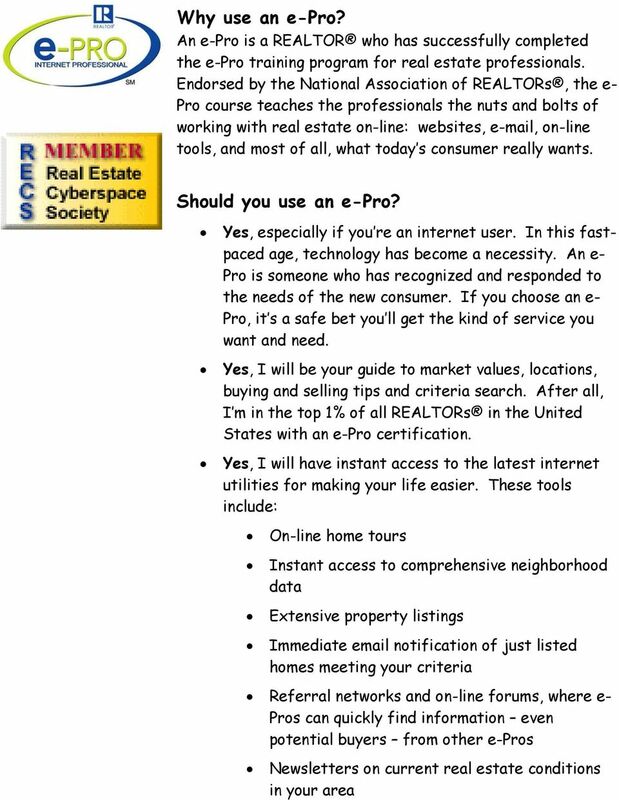 Home Seller s Guide. The easiest way to sell homes in central Texas. Fran 512-657-9609 Julian 512-751-5996 www.drakefordteam. Only 48% of Houses in London & Area Sell In 48 Days! Why is That? The 13 Pitfalls of selling your home... And how a Seller Advocate can help you avoid them Pitfall 1. Poor research. An incompetent agent can lose you a lot of money - all because people try to cut corners. 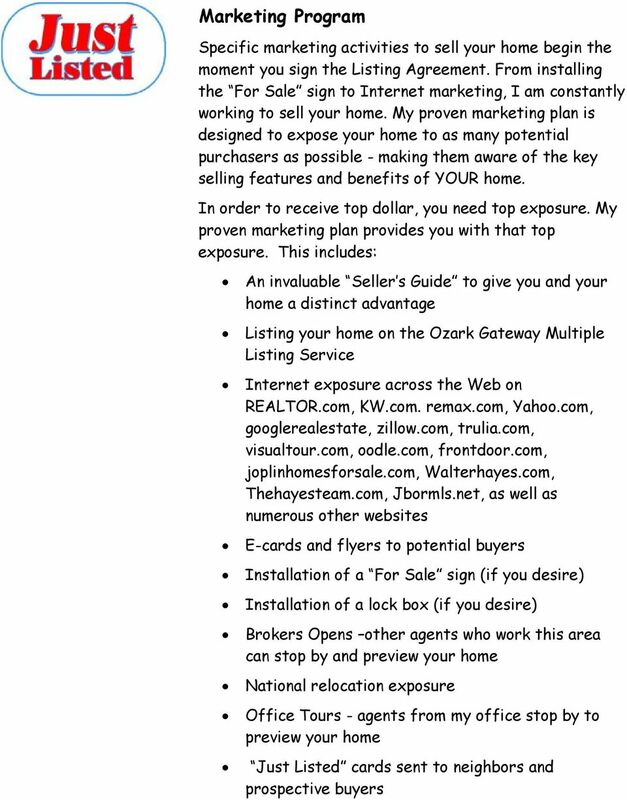 A MESSAGE FROM JERRY REECE Dear Seller, First, we thank you for this opportunity to work together to sell your home. It is an important responsibility, and we appreciate your trust in Reece & Nichols. We appreciate your interest in Stanberry & Associates! We are always seeking qualified, dedicated agents to join the Stanberry team. A Website dedicated entirely to Selling Your Home!